Hi everyone. Sorry I have not blogged in a while. 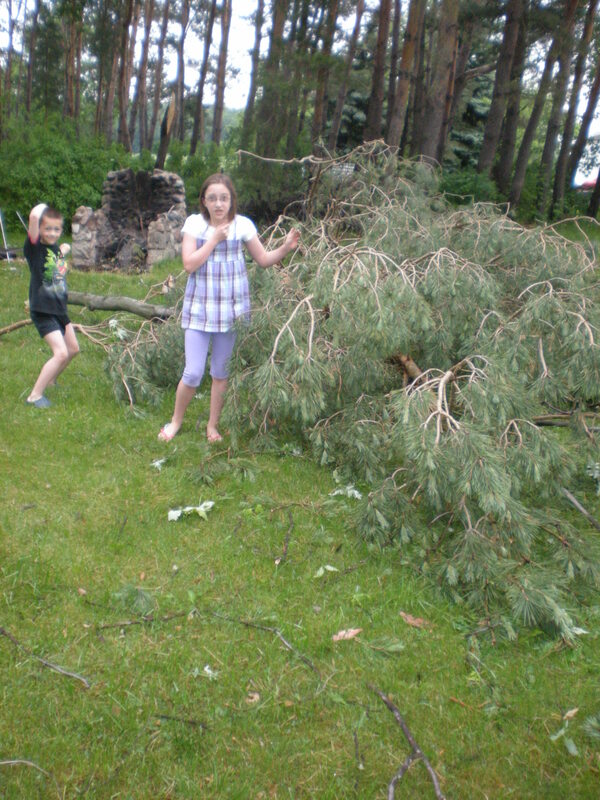 In addition to the craziness that is life in the summer with everyone home and lots of other stuff to do, we had a big wind storm last week that caused several trees to fall on our property – including a big pine that fell on our house! Whew – it missed my daughter’s bedroom picture window by a few inches. We were lucky – only minimal damage to the roof shingles, a mangled section of gutter, and a small hole in the porch roof. Our electricity was also out for 2 days, but we had lots of firewood to cook outside over an open fire! 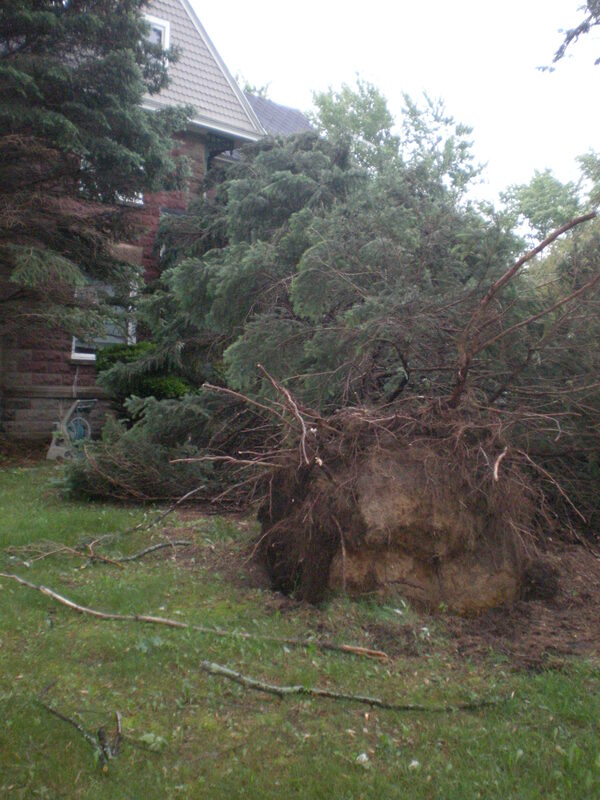 We also had two trees fall on the property (onto the ground) and one into the pool. My husband panicked more about the one in the pool more than the one on the house! We had one day where the pool was open and we were able to use it before the storm hit. Fortunately, the tree service was able to pull it out without perforating the pool liner. My husband had to get in the pool when it was 55 degrees out, but they figured it out! I’ll try updating again on Friday with the results from our latest trip to the Orthopedic Surgeon.